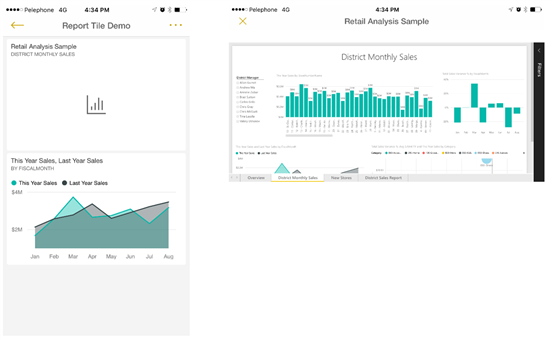 You asked, and we listened: the December 2015 updates for Power BI mobile apps includes a number of features and quality fixes requested by you, our users. All of these improvements are now available in your app marketplace! Let’s take a look at some of the highlights. We are excited to take the first steps toward a single Power BI mobile app with access to all of your data from both SQL Server Reporting Services 2016 on-premises and Power BI in the cloud. 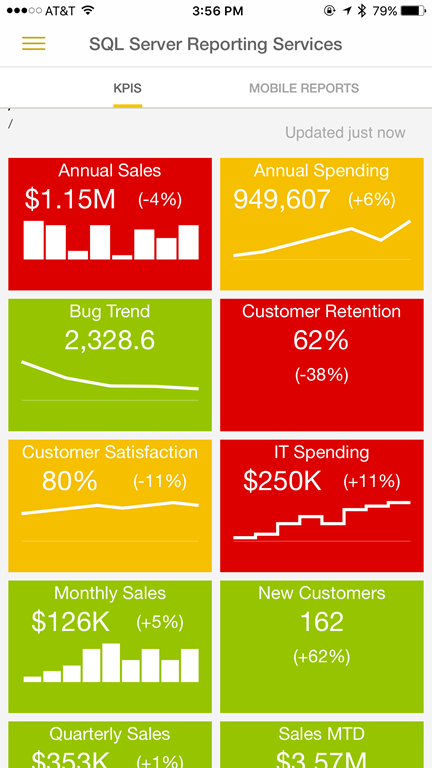 The Power BI mobile app for iOS mobile is the first to include a preview of SSRS mobile reporting. Connect to various on-premises datasets (including SSAS server) to easily view your KPIs and mobile reports while on the go. Read the announcement. As data grows within your organization, staying informed is more critical than ever. The new notification in the Power BI mobile app for iOS will help by letting you know when a colleague shares a dashboard with you. We recently introduced the ability to pin entire report pages to your dashboard in the Power BI service. Now you can view those pinned reports in your Power BI mobile app for Android phone and iPhone. When you open a dashboard with a pinned report page, you will see a default image. To view the actual pinned report, tap the tile. The pinned report page will open in landscape mode. This is only the beginning of the mobile reports journey. Stay tuned! The Power BI app for Android has been updated with QR code capability! Now you can use QR codes to consume contextual information and insights from your physical environment. Read the announcement. We’re always improving our Power BI mobile apps to provide you with a better experience. Some of our latest updates include better image quality when sharing tiles from the app, stability improvements for HTC One M8 devices, and new support for nexus 5X devices. Update your app to get these latest changes and other improvements and bug fixes. 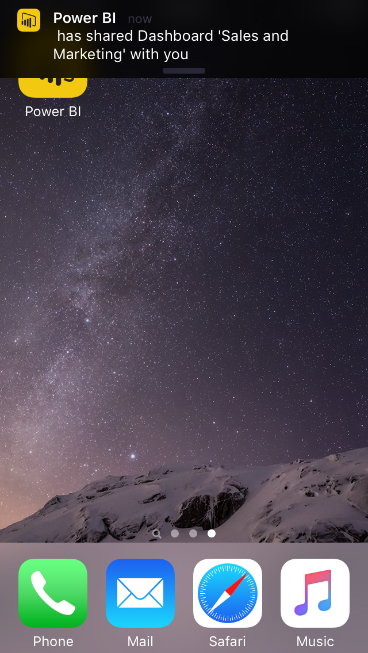 Your feedback will help us decide what to implement in the future, so please don’t forget to vote for other features that you would like to see in Power BI mobile apps.